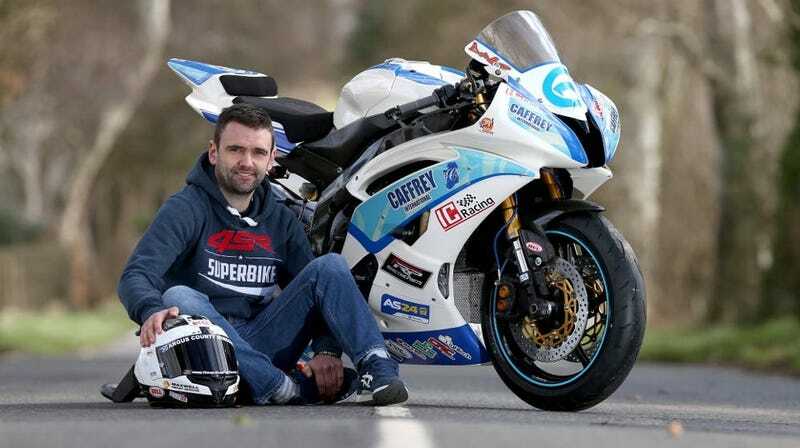 Northern Ireland motorcycle racer William Dunlop died after a crash during a practice for the Skerries 100 road race in County Dublin over the weekend, the motorcycle club hosting the race announced Saturday. Dunlop was 32. Dunlop was part of a racing family and had a long career himself, with the Guardian reporting that he had more than 100 wins in Ireland’s road-racing scene. This year, Dunlop’s team planned to race periodically in the British Superbike Championship, international road races and other events. Dunlop was also a regular in the Isle of Man TT, but the Guardian reports he missed it this year to be with his partner Janine, whose last name was not listed in his obituary, during her pregnancy. Dunlop’s father and uncle, Robert and Joey Dunlop, died in racing incidents as well, according to the Guardian.